On April 1, 2018, shortly before 9:00 p.m., a black Samsung Galaxy cell phone was taken off the bar counter at the Highway 6 Hotel, in Oakpoint, Manitoba, by an Indigenous female with brown hair, which was tied back in a bun. It is believed that the female suspect was accompanied by a male, who wearing a baseball cap, and glasses. 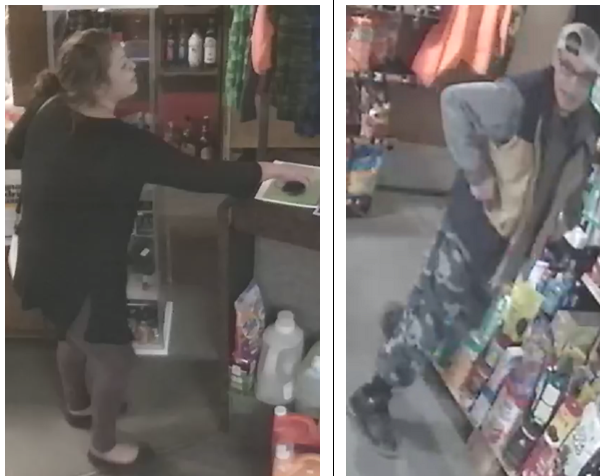 Anyone with information as to the identity of the pictured individuals, or the stolen cell phone is asked to call the Lundar RCMP Detachment at (204) 762-5088, or submit a tip.